How Not to Plan Your Estate! Over the years, I have been involved with or been asked to assist with some "messed up" estates. I often ponder how anyone who loved their spouse and/or children could ever leave their estate in such disarray? Since so many people seem to ignore estate planning advice, I thought I would take a different tact and write an article on How Not to Plan Your Estate. My hope being, that if you read about the financial and emotional stress you can place upon your loved ones, you may take action. I wrote this article during the Christmas holidays. I then asked Roma Luciw, The Globe and Mail's personal finance web editor, if she had any interest in this topic. She did and on January 15th, the article was published in The Globe and Mail business section under my byline. If you did not read The Globe and Mail on Friday, here is the link to the article (The Globe changes the title for the online version if you were wondering). Thank you Roma for your editorial assistance and help in getting the article published in the paper. 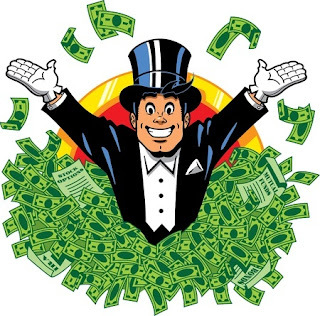 A large percentage of my client base is made up of Canada’s “top 1%” of wage earners. They have been vociferous is expressing their unhappiness with the announced marginal tax rate increases for high income earners. They are also very concerned a second shoe will drop, that being the possibility the government will eliminate the small business deduction for many of their corporations. So who are the “top 1%”? According to a 2013 report by Statistics Canada, Canada's top 1% earned an average income of $454,800. To be considered in the top 1% of income earners in Canada for 2013, a tax-filer would need to have a minimum total income of $222,000. On December 7, 2015, Finance Minister Bill Morneau confirmed that for Canadians with incomes over $200,000, their marginal tax rates will increase from 29% to 33%. If you live in Ontario and make more than $220,000, this means you will be paying 53.53% on any dollar earned over the $220,000. I am not a psychologist, but it is very clear to anyone who deals with high-net-worth individuals, that once marginal rates go beyond 50%, they break an invisible psychological barrier that impacts taxpayers thinking, if not their actions. Simply put, you are now paying more money to the government than you keep. Currently, small business owners that carry on an active business pay corporate tax at a rate of 15.5% on the first $500,000 of taxable income (subject to various restrictions and sharing of the limit with related corporations). If a corporation is not eligible to claim the small business deduction ("SBD"), they would be subject to a 26.5% tax rate, an 11% increase. [Note: To be clear. This 11% increase is only an increase in the taxes you would pay at the corporate level. So instead of deferring say 38% when you leave money in your corporation (53.5%-15.5%), you would now only be deferring 27%. The absolute income tax increase to you when you when you flow your corporate money to yourself as a dividend or a salary is very small]. As discussed below, the Liberals have floated placing restrictions on the use of the SBD. This has many small business owners anxious that they may have to pay the higher 26.5% tax rate. In a prior blog post, I noted the following comments made by Prime Minister Justin Trudeau in this article by the National Post. The Prime Minister stated “that several studies have shown that more than half of small business owners are high-net-worth individuals who incorporate…to avoid paying as high taxes as they otherwise would”. The Post noted that “in that group are doctors and lawyers, groups that may find themselves squeezed by the policy Trudeau loosely outlined this week”. 2. any corporation in the primary or manufacturing sector. I personally cannot ever recall my clients being so vocal over a tax increase and concerned about the possible changes to the small business deduction. I have had several voice their displeasure about these measures. I asked a couple of them if I could discuss their situations in general and they agreed. One client is a serial entrepreneur in northern Ontario. At a very young age, she built up a hi-tech company and sold a division of the business to a major corporation. At that time she had over 75 employees. She subsequently rebuilt her original company with a new product and incorporated a very successful second company. Following the announcement of the increase in tax to almost 54%, she has started implementing a departure plan, with the intention to set-up offshore and leave Canada within the next ten years. There are several reasons why she wishes to leave Canada, many being philosophical in nature (I would like to list them, as they are very sound and interesting objections, however, we agreed to limit my discussion to her general situation), but the tax increase was the straw that broke the Camel’s back so to speak. Most people would probably agree, this is not the type of person you wish to chase from Canada. A second client is a professional nearing retirement age. He basically said to me that why should he continue to work when he does not need the money. He says he is now planning to retire early. He also told me, he had recently attended two Christmas parties and all the room was talking about was the personal tax increase and the possibility many professionals will lose their access to the small business deduction. The above is an example of tax law changing behaviour in a non-productive way. 1. Are individuals who want to leave Canada being selfish? They make a lot of money, so why do they mind paying income tax? 2. If individuals could tell the government what buckets to put their tax dollars towards, would that make it more palatable? I found both of these comments very insightful, although said through the prism of youth. Are you selfish if you are willing to leave a country because you do not wish to pay high levels of income tax? Since this discussion would be a book on its own, I will only say the following. I think that every person has and is entitled to, their own marginal income tax “breaking point”. In addition, as noted above, I would trivialize the discussion by saying income tax increase alone may cause some people to leave Canada. While that may be the case for some, I would suggest for most others, while income tax increases maybe a trigger for them considering leaving Canada, it is only one of several considerations. 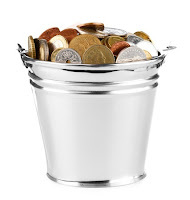 I loved the tax bucket idea and would suggest many individuals who would consider leaving a country because of taxes would possibly reconsider if they could actually allocate their tax dollars to where they think would be the most useful. However, since this is a fanciful notion and would essentially eliminate the need for government, it is a bit of a non-starter. The issue of high marginal tax rates is very contentious. This short blog post cannot do the topic any justice. However, it is clear that taxing the wealthy can lead to splits among socioeconomic status, political leanings and philosophical differences on taxation and the common good. What I can tell you is: there is significant unhappiness amongst the top 1%, and probably the top 20%, and if and when legislation comes in restricting the small business deduction, I think it may manifest itself further. 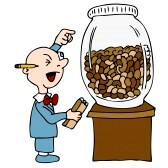 Here’s hoping sound business decisions do not become clouded by tax considerations. This will be the fifth time I am writing about the T1135 Foreign Income Verification Statement since September, 2013. Today I am discussing the implementation of the April, 2015 Federal budget proposal in which the Conservatives promised to simplify the reporting requirements where your cost of foreign property is less than $250,000. This proposal has now been implemented and a new T1135 has been released. Here is a link to the new form. The basic requirement to file a T1135 form is still in place. That being, if you own specified foreign property with a cost of more than $100,000 at any time in the year, you must file the form. However, now where you own specified foreign property with an adjusted cost base of more than $100,000 and less than $250,000 throughout the year, you can file using the simplified method (or you can still use the detailed reporting method if you wish, but why you would is beyond me). Note, if your cost exceeds $250k at any time during the year, you cannot use the simplified method. The simplified method is reported on Part A of the form. While this method is less onerous than the detailed reporting requirement, you will now be required to report the top three countries based on cost during the year under the simplified method. 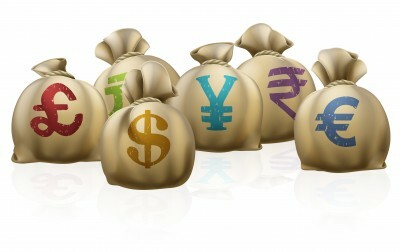 This determination will require some work if your broker does not provide such, or you are a do-it-yourself investor. It should be noted you can now file the T1135 online for 2014 and subsequent years. The CRA has also re-iterated that the period for reassessing your return is extended by three years if you have failed to report income from a specified foreign property on your return and Form T1135 was not filed, was not filed on time, or was filed inaccurately. While the simplified reporting method is better than nothing, I would suggest that most accountants and taxpayers still don’t understand why the T1135 form is required at all, where all you are only reporting is foreign holdings held with your Canadian institution(s). I am often asked by readers if they can engage me for various income tax, accounting and wealth management services. Although I rarely if ever, self-promote on the blog, today, I am going to make an exception. Below I’ve listed the various services my national accounting firm and I can provide to you. 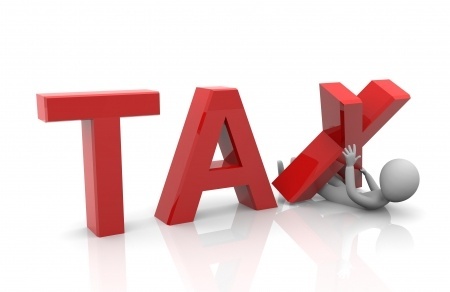 To help you minimize your corporate income taxes, we provide tax planning services including but not limited to: corporate reorganizations, estate freezes, purifications for the capital gains exemption, assistance with indirect taxes such as HST, in-bound and out-bound foreign tax planning, R&D claims, transfer pricing and valuations. To ensure all your corporate compliance needs are met, we typically provide the following services to owner-managed businesses: financial statement preparation, corporate tax return preparation, corporate and personal income tax and estate planning and personal tax return preparation for the business owner. Many people are concerned about ensuring they minimize their taxes upon death and/or leave a legacy to their family. 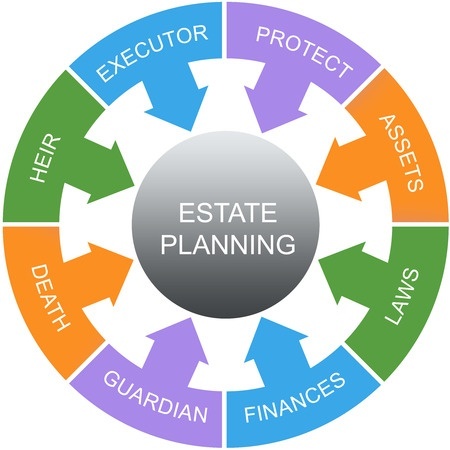 To assist you, we provide estate planning, which typically involves determining your estate tax liability and then trying to minimize and/or manage this liability through tax planning and will planning (with your lawyer). 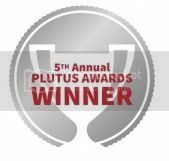 In addition, where you have had a family member pass away or are named executor to an estate, we can assist you in filing the required estate tax filings (which are often very complicated in the year of death, especially if the assets do not pass to a surviving spouse, due to the deemed disposition rules). Most people are concerned with ensuring they have enough money for retirement. I am involved with quarterbacking my client’s wealth and retirement planning, typically starting with a financial check-up and financial plan. As financial quarterback, I try to ensure your investment advisor, lawyer, insurance agent, banker, business consultant integrate their advice into one efficient, optimum, coordinated plan, taking into account your investment, retirement, income tax and successions needs. If you do not have an investment advisor or are looking for a new advisor, we recommend you meet several to find a fit from both an investment perspective and also from a personal relationship perspective. Accountants cannot provide investment advice. We do however; work closely with several highly respected investment advisors whom we can introduce you to. 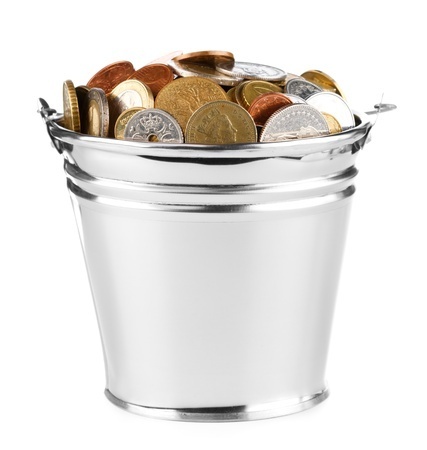 The advisors typically require a minimum of $1,000,000 of investable assets (yes, I am aware, this is a large issue for people who are looking for a good investment advisor, but do not meet the minimum asset requirements). To help you reduce or minimize your personal taxes, my firm has several excellent tax people who can assist you with personal tax planning and tax return preparation. Unfortunately, because income tax season has essentially become condensed into one month (since the T3, T5013 slips do not arrive until early April at best) I now only prepare personal tax returns for my corporate or wealth clients. 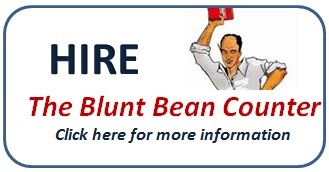 If you would like to engage me or my firm for any of the above noted services, or want to discuss your specific situation and obtain a quote for services, feel free to email me at bluntbeancounter@gmail.com or click the hire The Blunt Bean Counter at the top right of the page.